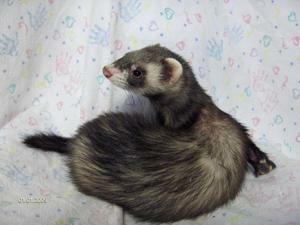 Our ferrets are affectionate, intelligent small animals that love to play and explore. Their happy, inquisitive nature and humorous behavior makes them wonderful family companions especially if given daily exercise and attention. All of our Ferrets have had their scent glands that produce a musky smell removed and have been spayed/neutered by a veterinarian Guaranteed! Come meet our large selection and variety of different colored ferrets. Dont forget to check out our stock of Multi tiered cages and ferret food. Copyright Town and Country Pet Center. All Rights Reserved. eCommerce Software by 3dcart.